There is one marked difference between the two, though, and that’s Oren Aks, a graphic designer who, along with his employers at Jerry Media, helped roll out the failed festival’s social media campaign. 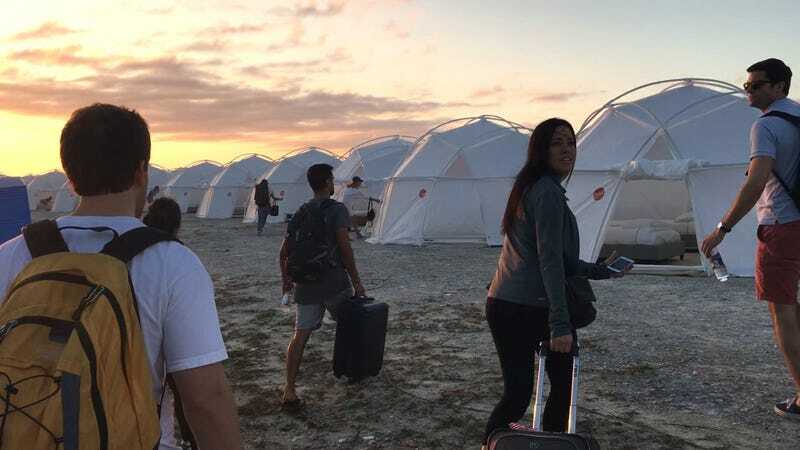 Aks is a key figure in Hulu’s Fyre Fraud, asserting that Jerry Media, the outfit of internet personality FuckJerry, knew far in advance that things weren’t going as planned and, as such, should be held accountable. If you’re wondering why he’s not saying the same thing in Fyre, well, that’s because Jerry Media served as producers on the Netflix documentary, which, unsurprisingly, offers them a much kinder edit. See? Ethics. And that’s been hard enough with the festival’s residual stink obfuscating his talent. The challenge, he says, is figuring out “how to present” his Fyre work without it summoning dystopian images of cold cheese sandwiches and FEMA tents. Um, maybe tell them it was for a different Fyre Fest?